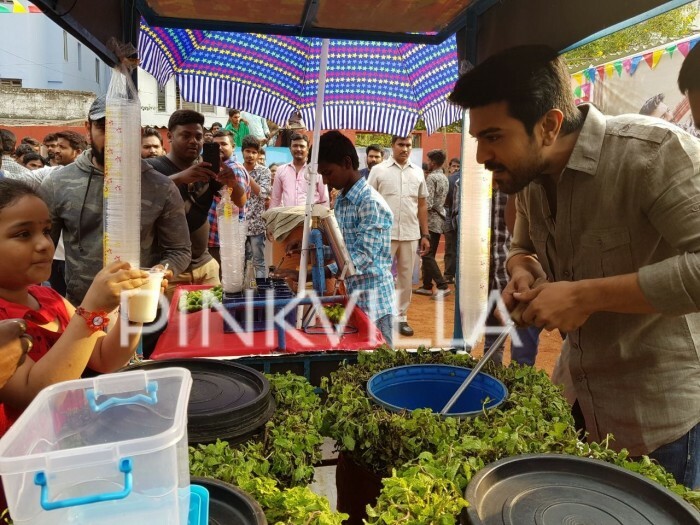 Home » Telugu » Photos » Photos: Ram Charan supporting a cause for Lakshmi Manchu’s Memu Saitham is the best thing you’ll see today! 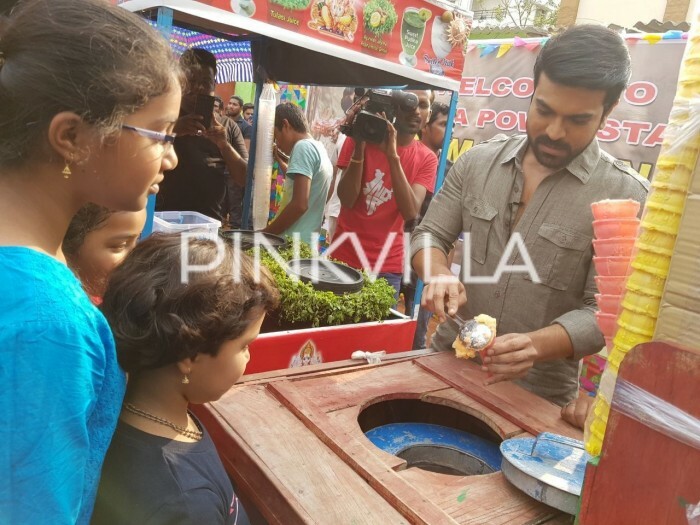 Ram Charan was spotted selling ice-creams and soda for raising money for poor people and it is the best thing you'll see today. 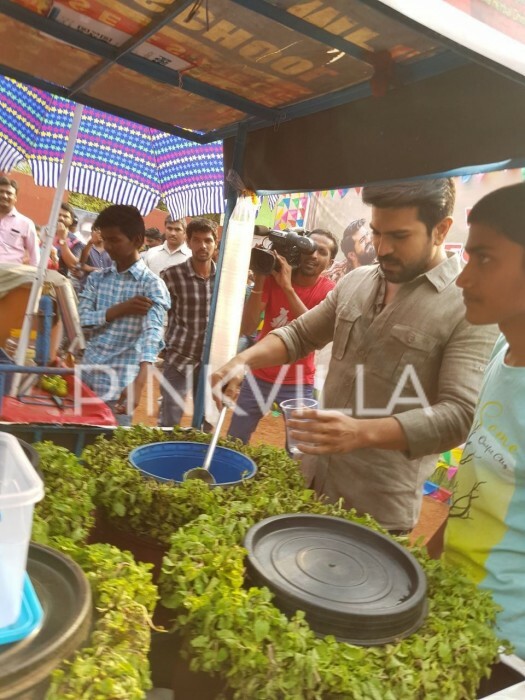 Photos: Ram Charan supporting a cause for Lakshmi Manchu's Memu Saitham is the best thing you'll see today! Actor Ram Charan is surely the man with a golden heart. It so great to see an actor taking out a little time from their busy schedule to give back and doing a good deed towards something. The actor has taken an initiative for Lakshmi Manchu’s Memu Saitham. 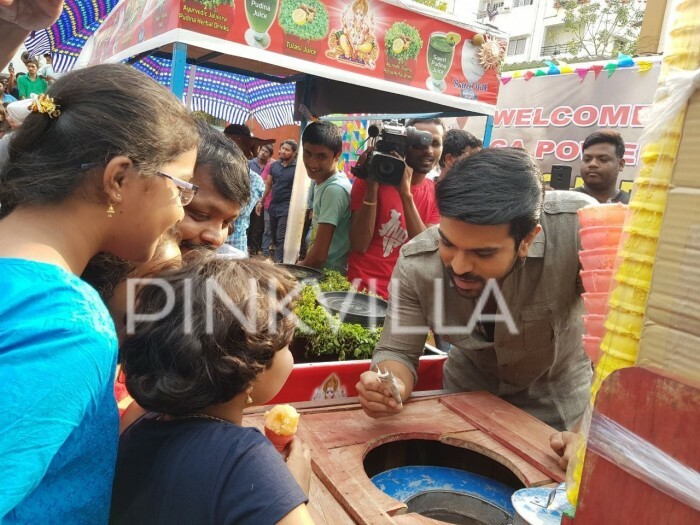 The actor was spotted selling ice-creams and soda to raise money for a poor family and it is the best thing you’ll see today. 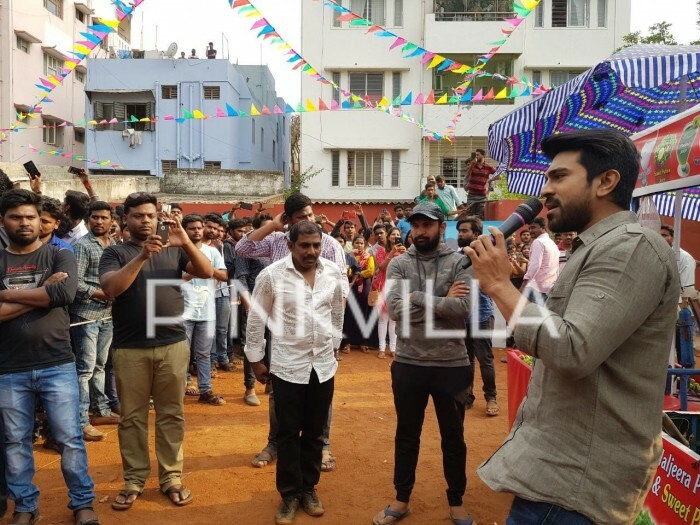 On the work front, the shooting of Ram Charan and Boyapati Srinu film has already begun. Charan joined the unit for the new schedule. Reportedly, a beautiful house set has been created for this schedule where Ram Charan will participate. He has reportedly undergone a special makeover to achieve the ultra-modern look. The film will see Kiara Advani as Charan’s love interest in the film that also features Vivek Oberoi, Prashanth, Naveen Chandra, Sneha and Aryan Rajesh in key roles. Meanwhile, Ram Charan’s Rangasthalam becomes Telugu cinema’s third highest grossing film. The film is earning huge at the Box Office since day one. Rangasthalam, which released on March 30 has been Directed by Sukumar. The film is produced by Mythri Movie Makers. 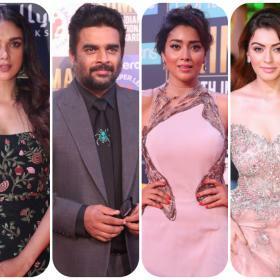 The film stars Samantha, Aadi Pinisetty, Jagapathi Babu among others in the principal roles. The film sees Samantha and Ram Charan sharing the same screen space for the first time.